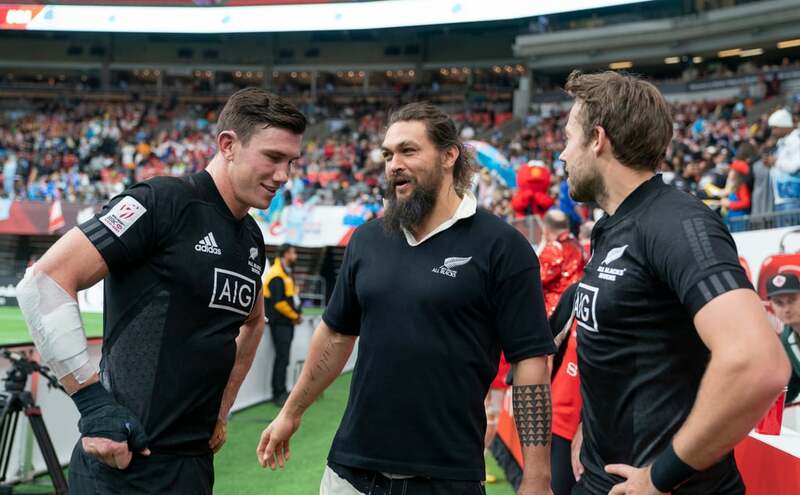 Why was Jason Momoa wearing a 1991 All Blacks jersey at the Canada Sevens? 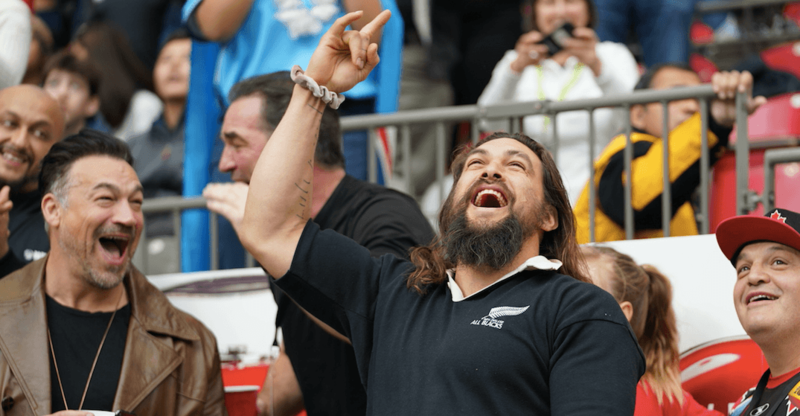 The Canada Sevens seems to be quite the hotbed for rugby shirt curios these days – last year we had the confirmation that the USA had ditched Adidas for unbranded kit for unexplained reasons, and this year we have the curious spectacle of Game Of Thrones and Aquaman star Jason Momoa wearing what appears to be a very retro All Blacks jersey in the crowd – so what gives? Actors turning up at sporting events wearing team jerseys they don’t have any obvious connection to is nothing to shout about of course, but what got our attention on this occasion is the age of said jersey – this isn’t a pristene new Adidas number from 2019, it’s clearly an old design from the 1990s, back when they still wrote ‘New Zealand’ on under the badge, and not just ‘All Blacks’. So… there must be a story, right? It’s not just a story, but a fantastic and fascinating story that saw the 39-year-old Justice League end up with a genuine slice of All Blacks history. Approached by AllBlacks.com, Momoa confirmed that the shirt was in fact a legit, match jersey worn by All Blacks legend Zinzan Brooke at the 1991 Rugby World Cup. 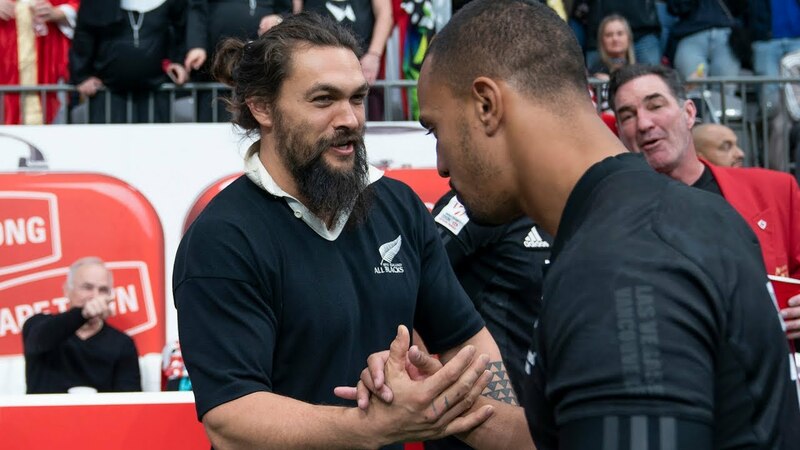 Momoa isn’t just wearing a retro rugby shirt for fashion reasons either – the actor became an fan of the sport and the All Blacks in particular while living in Australia and New Zealand.